Imagine some sophisticated artificial-intelligence system, or maybe a team of intelligent aliens dropping by from another planet, looking at my music reviews and photo galleries, taking them as big data in an effort to solve the problem: What band is missing, which fits all this person's requirements? What band is the perfect fit for this human, based on the data, based on scientific and mathematical analysis? First, they'd see a heavy leaning towards Prog (progressive rock), but not just any-old-Yes-and-Genesis-prog, but rather the superb and melodic Marillion, Steve Rothery Band, Steve Vai's seventh songs. Then, they'd pick up on all the metal, all the shows covered in this metal-crazy town that is Sacramento. And then, they'd appreciate the love of a good light show to complement the music. And then, only then, this superior intelligence would reason, which band does this person not yet know, but which is the perfect fit based on the data we have gathered? 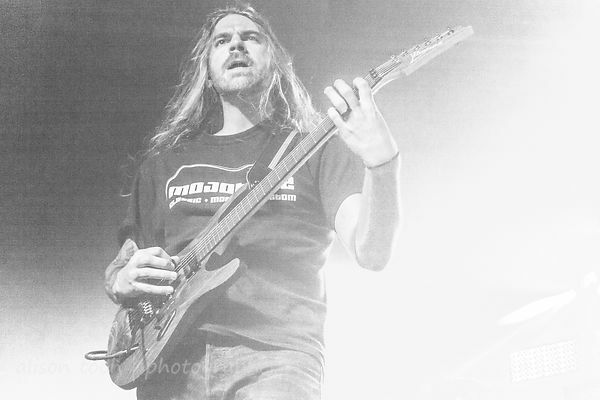 Is it not Between The Buried And Me? 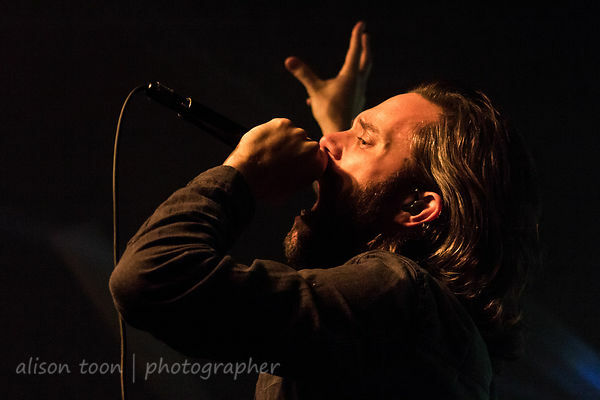 That's what happened last night at Sacramento's Ace of Spades: I experienced Between The Buried And Me live for the very first time, and wow... it is an experience, not a concert, not a show. Songs the length of which would make prog gods proud; vocals to fit the baddest of metal; a light show to shame the usual metal three-shades-of-purple. Music that you can drift away in, fight to, make the fabric of your nightmares or the threads of sweet dreams. Yes, I enjoyed Between The Buried And Me. More than enjoyed. The music fit me, like a glove, like a forgotten friend. 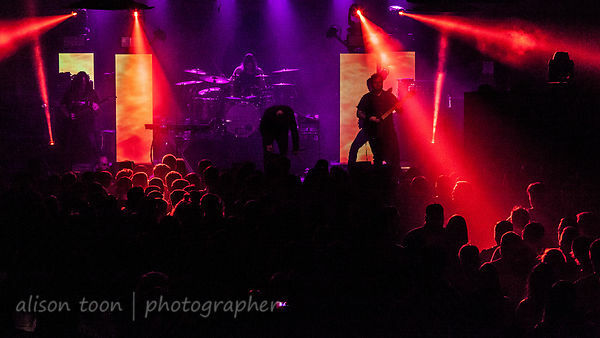 Co-headlining this tour with August Burns Red (photos and review to follow), Between The Buried And Me took the stage after the two openers last night and before August Burns Red. They possessed the crowd that filled the venue, during all the quiet moments, and throughout all the angry growls. 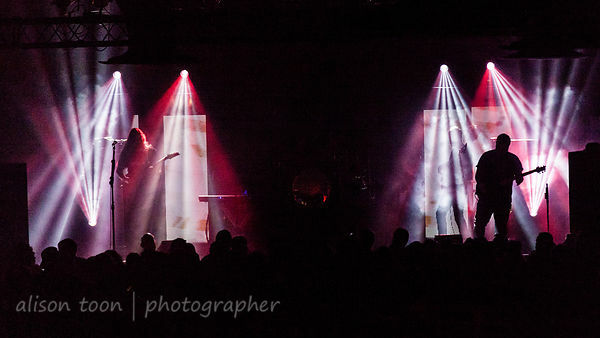 The light show is wonderful and best experienced from the back of the venue; window-like screens on the stage give a glimpse of desert, music, a fire-breathing being... searchlights beaming laser-like through vapour, illuminating the crowd. Sound level just right. 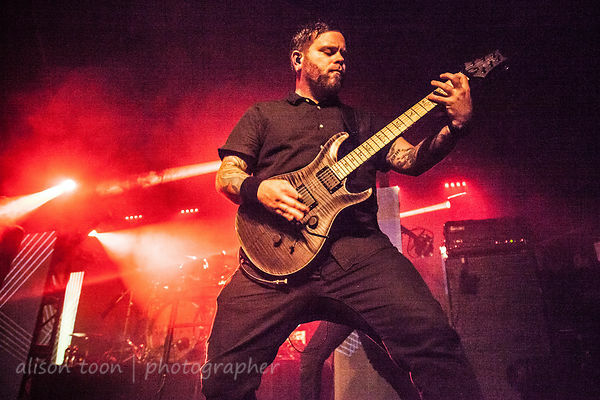 Between The Buried And Me are Tommy Rogers (vocals, keys), Dan Briggs (bass), Blake Richardson (drums), Paul Waggoner (lead guitar), and Dustie Waring (rhythm guitar). More info on their website or Facebook. The tour continues: Canada and the USA, Europe. Catch them if you can.